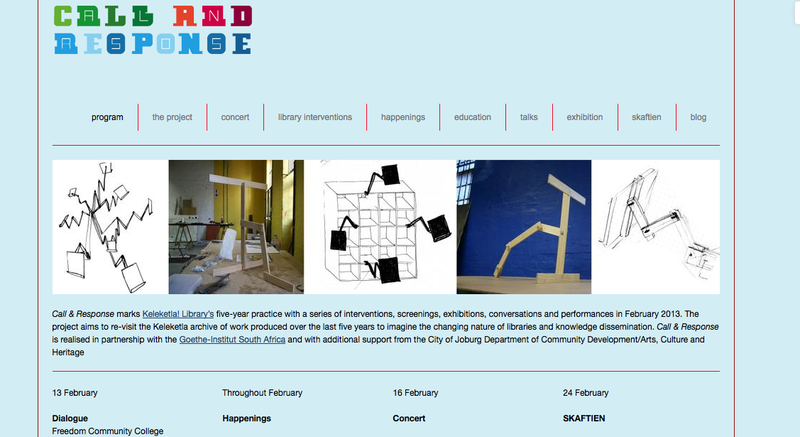 Head over to our brand-new sister website – http://www.call-response.org – for the full project programme. The website has a blog that documents and reflects on the project as it unfolds. We hope you enjoy it, and share with those who should know! Previous Post Keleketla! Library turns 5!